Is the No Kill organization in your community reaching the Gold Standard? There are a lot of animal groups out there, including a lot of No Kill groups. But every No Kill organization was not created equal. How can you be sure yours is committed to the highest level of No Kill and making a real impact for animals? We realized we were getting asked this question a lot. So we developed the Gold Standard for No Kill. It is designed to help you ask the right questions and implement the right programs to optimize lifesaving in your community. This Gold Standard is a living road map that will continue to evolve as individuals and organizations around the country continue to ask questions and provide feedback. There are four cornerstones to Gold Standard of No Kill. Broad enough to transform the status quo for animals in the entire community. Small shelters do wonderful work saving animals, but Gold Standard shelters drive real change. Realistic in scope. While an expansive vision is essential, it must not be so broad that it diverts focus from making tangible impact. Gold Standard shelters set transformative but achievable missions. Active and solutions-based. At its core, what is the organization doing to help animals. Beyond the mission statement, the organization must demonstrate strategic thinking and capability. You can tell a lot by how an organization talks about itself. Gold Standard organizations should set out a clear strategy on solving the problem of pet overpopulation and demonstrate how its programs are measurably making an impact. What is the organization’s overall mission? How does the organization plan to reach it? Tip: Ensure their priorities align with yours. Some organizations focus on advocacy, while others focus on legislation or direct lifesaving. What matters most to you? Listen for action words and results. Do leaders have a history of growing businesses or nonprofits? Do they know how to optimize resources and maximize impact? Have they shown a commitment to the No Kill movement and do they use the language of No Kill? Many traditional cage-and-kill organizations claim to save all “adoptable” animals or state they never euthanize for time or space, but a large proportion of their animals are killed each year. How does the organization present itself in the public space (website, written materials, etc.)? Is it easy to find detailed information on its program results and financials? Do independent charity evaluators rank them? For larger, established organizations, consult Charity Navigator for a rating on financial effectiveness and transparency. Gold Standard charities will be rated 4 Stars in both categories. What do their public filings show? Look at Guidestar to evaluate the organization’s required 990 filings. Tip: Learn more about nonprofit reporting so you can determine if fundraising and administration expenses are appropriate for the organization’s size and reach. Tip: Evaluate their governance. Board of Directors members should not be compensated, and employees should not serve on the Board of Directors. Is the organization fiscally responsible and operating soundly? Ensure the organization has sustainability and is operating within its means. Look at the annual revenue and expenses reported in the 990s. Is the organization operating well? Visit the shelter to ensure all animals are receiving quality care. Evaluate how many animals they have in their care and how many they adopt out in a year. An organization must be able to understand their capacity, otherwise they compromise the long-term viability of their lifesaving or they have a cage-and-kill operating model. Developing programmatic expertise and operational excellence is critical to creating change. There are three core programs essential to building No Kill communities. Gold Standard organizations will be top performers in at least one of these sectors. Gold Standard spay/neuter programs are targeted to pets that are likely to breed and contribute to pet overpopulation. Free and low-cost targeted spay/neuter of family pets in underserved communities is critical for any organization looking to build a No Kill community. And every year, the dreaded kitten season brings waves of litters into shelters. TNR is a proven solution. Who qualifies for free or low-cost services? The organization should be targeting families who could not otherwise afford the surgery. How many spay/neuter surgeries is the organization performing on pets of the general public? Helping rescue groups is great, but it is not serving the pet overpopulation mission. Where are the services being provided? Are they in underserved areas or convenient for low-income families to access? Is transportation offered? How robust is the organization’s Trap-Neuter-Return (TNR) program? Innovative Adoption Outreach: These shelters bring adoption to the community with offsite events, welcoming adoption centers and ongoing support. Excellence in Shelter Medicine and Animal Behavior: Committing to the life of every pet means treating sick, injured and behaviorally challenged but rehabilitatable pets, regardless the time or resources required. This outreach should extend beyond the adoption itself, providing adopters with resources to help during the transition and beyond, ensuring a successful family match. How does the shelter reach out to potential adopters in the community? What does the organization’s online presence look like? Does the shelter provide resources and support after adoption? Homeless animals often arrive at shelters with physical and emotional challenges. Gold Standard organizations have the expertise to give these animals the care they need. In shelter medicine, a trained veterinary team works to provide each pet with treatment and rehabilitation to get them adoption-ready. It also means understanding and tending to the needs of a large population of animals without cross-contaminating them and utilizing an expansive network of foster families to give pets the best environment to heal. In animal behavior, a team of trainers, behaviorists and volunteers work with scared, abused, and undersocialized animals to ensure they receive rehabilitation, training and enrichment. 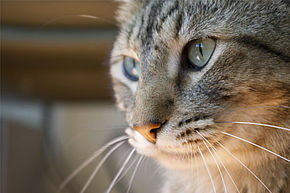 These two programs are essential to operating as a No Kill shelter (see Defining No Kill). But to reach the Gold Standard, a shelter must be excellent in these fields. 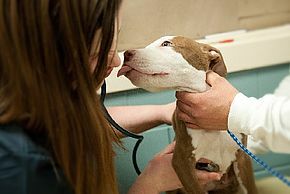 Does the shelter have a robust shelter medicine program where they treat ringworm, parvo, all upper respiratory disease, feline calicivirus, heartworm, mange and other common illnesses? Is the shelter able to perform orthopedic surgery, necessary dental surgery and other surgeries internally or through veterinary partners? Are the shelter’s animal housing areas designed for isolation to treat a wide range of contagious disease? In more progressive shelters, animals will be housed in suites with bleachable flooring and wall surfaces and isolated airflow. What is the shelter’s Save Rate? Look at shelter data to understand the volume of animals taken in and the lifesaving success. Gold Standard shelters should typically exceed a 95% Save Rate. While lifesaving programs are essential to building No Kill communities, model organizations also innovate and provide leadership that can be shared with the field at large. How has the organization responded to challenges and innovated to solve problems? Is the organization perceived as a national leader in a particular program or arena? The most essential foundation for any animal welfare organization is engaging the community in the cause of homeless pets. It is the public that will adopt, volunteer, and raise funds and awareness. Gold Standard organizations know how to inspire people to join the cause. They invite the public into all aspects of the organization and have nothing to hide. How vocal is the organization about the plight of homeless animals? Do they rally and motivate the community to get involved? Are they frequently on television, radio and in print, discussing animal issues and raising awareness? Are trained volunteers able to help every aspect of the organization, or are there areas where the volunteers are not permitted? Trained and qualified volunteers should be welcomed into any program. Getting great results and being transparent is very important to us. See our results here.